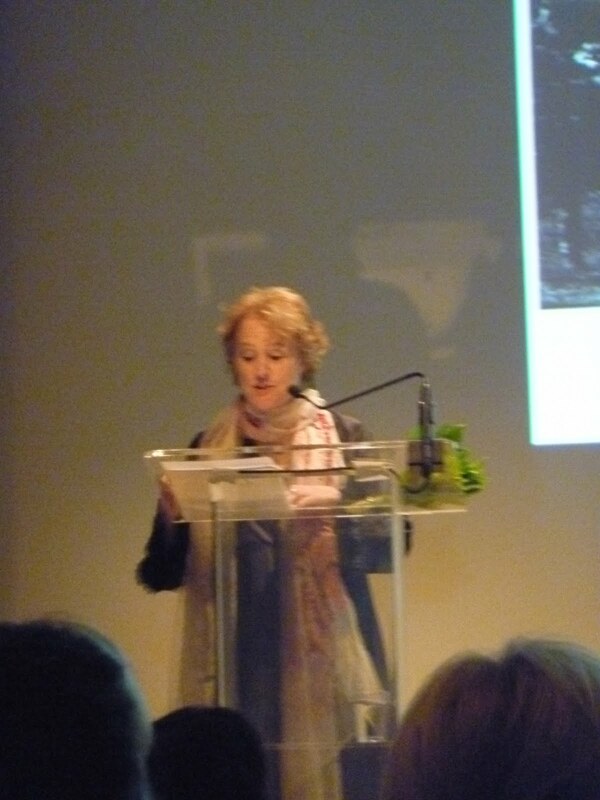 “Eating is an agricultural act” is a Wendell Berry quote that Alice Waters referenced in her talk Monday night at the New Museum. Indeed, eating is an agricultural act! Seeds, soil, sun, plants, animals, birds, farmers and farm hands all help to make sure we put food on the table. In our modern factory food culture this is something that we often forget, but then there is Alice Waters, indefatigably reminding us about how important farm fresh, seasonal produce is. Contrary to her detractors Ms. Waters is just telling us how it is important, but showing us how accessible and affordable it is to eat locally, seasonally and organically. Although her talk was mostly a reading of her new book 40 years at Chez Panisse – reminiscences of 40 years at her famous Berkeley California restaurant – she managed to touch on many essential points about food and farming. Some will downplay her message by pointing out that her ideas regarding food are “elitist.” And, sure, for people overly sensitive to such concerns, she does have a demanding, I’d say passionate idea about how we should eat, and yeah there are a lot of celebrities in her anecdotes, but you meet a lot of celebrities when you run one of the best restaurants in the country for 40 years. She tells an amusing story about how Werner Herzog said if you lost a bet (he did) he would eat his shoe (he did) cooked in duck fat (but it was still inedible) and the Dalai Lama doesn’t eat root vegetables (but loved Alice’s lamb stew). It’s easy for her detractors to latch on to this. But these concerns are mere distractions in the face of the bounty of her dedicated, hands-in-the-dirt stories of bringing the awareness of real food to real people. Her celebrity stories are just entertaining side notes to a bigger, very consistent message: locally grown, organic good food tastes better and is accessible to all. And if it isn’t accessible she gives many concrete suggestions about how her and her staff have over the years made it accessible. Her personal accounts of how giving children or inmates or university students the opportunity to grow and cook their own food, changed lives. And through her foundation she has done just that. As any New Yorker with a fire escape and a plastic container can testify growing food isn’t so hard and be done even in New York. If you are lucky enough to have a front yard then the possibilities are endless. Here’s an anecdote she told that gives the lie to concerns about elitism and demonstrates her fundamental commitment to grassroots activism: one of her staff was bicycling through Oakland and noticed that in so many yards was fruit unpicked. So she started to organize and knock on doors and got people to help pick and share each others bounty. By putting these people, these neighbors in touch with each other, she created a fruit collective. Now these neighbors had a far larger selection of fruit and the overabundance of fruit they couldn’t use was no longer going to waste. And how much did it cost? Nothing. How elitist is that? Unused fruit became food, neighbors became friends. Personally, as a cook, I think the Art of Simple Cookingis one of the best all around basic cook books you can buy. I admit my bias, but I think that despite what may seem like “lofty” goals, she has spent a lifetime proving that everyone – regardless of economic status – can afford good food. She’s has worked indefatigably all her life, and still is, setting a standard for food activism that is an inspiration. This entry was posted in NYC, Other Stuff and tagged Alice Waters, The New Museum, Wendell Berry. Bookmark the permalink.